February 4th , the day Sri Lanka (then Ceylon) got so-called “Independence” from Britain in 1948, is a day for action, not regret or mourning. Of all the irresponsible acts of the colonial British in Sri Lanka, by far the most serious was leaving the country in the hands of the Sinhalese majority. If Britain was the cause of the problem, then it has to be part of the solution. To support the blatantly anti-Tamil Sri Lankan government, is to compound the problem, not to resolve it. It is absurd to claim that the British were unaware of the anti-Tamil stance of the Sinhalese ‘leaders’ such as D.S. Senanayake, leader of the United National Party (UNP), who took over from the British. Senanayake’s anti-Tamil stance (and actions) was clearly evident. This included altering the demography of the Tamil East by relocating Sinhalese from the South to make places like Amparai, a Tamil area, into a Sinhalese area. Sinhalese leaders have never been inspired by any desire to create a common nationalism out of ethno-religious diversity. They peddled the Sinhala-Buddhist jingoism of blatant anti-Tamil propagandists such as Anagarika Dharmapala, based on an exaggerated vision of the Sinhalese past. It is important to focus on this ethnic intolerance since this is what is happening today more so than it ever has, and has to be addressed. Anagarika Dharmapala was a confused, quixotic Buddhist with a crusading missionary zeal. He even renamed himself for the purpose. Originally Don David Hewawitarne, he took on the name “Anagarika” (in Pali “the homeless one’), “Dhamapala’ (guardian of the doctrine). His propaganda was based on distortions, half-truths and blatant lies, peddled as historical evidence of the glories of the ancient Sinhalese. A single example will suffice. 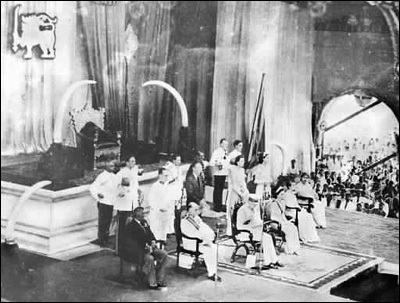 In 1911, Dharmapala proclaimed “The Country of the Sinhalese should be governed by the Sinhalese”. 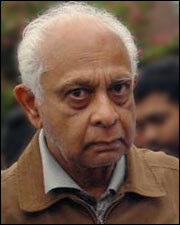 In his view, the Tamils and others had no place in Sri Lanka. Every Sinhalese leader has peddled this ethnic chauvinism with increasing virulence, to get the electoral support of the Sinhalese majority (74% of the population). The British were well aware of this. Indeed concerns about the plight of the minorities were raised, not once but twice, by those in the British Colonial Office before Independence was given. All that Britain did was to insert just one ‘safe-guard’ clause, Section 29 (2) (b) and (c), that no law shall impose any disabilities, or confer any advantage, on members of any one community. There were no penalties or consequences if this was violated (which it was, in full view of the British Governor of ‘Independent’Ceylon). Within a year of Independence(1948), legislation was passed to disenfranchise and decitizenise a million Plantation Tamils, a seventh of the population at the time, in one of the worst acts of political vandalism in the world. What did Britain do? Nothing. In 1956, systematic discrimination against the ethnic Tamils started (and progressed). As pogrom after pogrom against the Tamils continued, ending in the genocidal killing of the Tamils in the North and East in 2009, what did Britain do? Support the murderous Sri Lankan Government, even supplying the necessary weapons and expertise. Now with the ‘slow extermination’ of the Tamils in the North and East, what is Britain(and theUSA) doing? Taking part in the fire-sale of the Tamil areas and attempting to exclude China’s increasing foot hold in Sri Lanka, so essential for the control of the economically crucialIndian Ocean. It was an Englishman, George Turnour who in 1826 had a manuscript delivered to his office in the Sinhala South. This was The Mahavamsa , which he had translated into English and widely distributed. Regarded as a major historical discovery, it is, in fact, what I have called ‘The textbook of Sinhala supremacy”. To be fair by the author, a Buddhist monk, it was written “for the serene joy of the pious’, not as a record of history. It glorifies the Sinhalese as protectors of Buddhism and saviours of the nation, and derides the Tamils as invaders, vandals, marauders and heathens. It is this ‘Mahavamsa mind-set’ of the Sinhalese that has prevented any form of justice for the Tamil people. Immeasurable damage has been done by this single document to ethnic relations in Sri Lanka. Of all the irresponsible acts of the colonial British in Sri Lanka, by far the most serious was leaving the country in the hands of the Sinhalese majority. If Britain was the cause of the problem, then it has to be part of the solution. Fonseka does not need to give ‘permission’ for the Tamils to live in Sri Lanka. They are there because they were born there and have a right to be there.. They do not need to pretend to be a minority, they are a minority. What are the ‘undue things’ they demand? To have their basic human rights protected, not to be discriminated against, not to be raped, tortured, or ‘disappear’, and not to be non-people whose very existence is in doubt. All this is well-known. If it is not, a comprehensive Report has just been tabled in the Sri Lankan Parliament Situation Report: North and East on 21 October 2011, which sets out what the Rajapaksa junta is doing to the Tamils. Britain’s only concern is, and has always been the geopolitical, strategic and economic gains, not human rights. It is not widely known that on the eve of transfer of power, the British and the Sri Lanka (Ceylonese) governments signed a “Defence and External Affairs” agreement of serious importance. In exchange for ‘Independence’,Britain would give military assistance to Sri Lanka, and would be permitted to station and have bases for its army, navy and air force in Trincomalee,Colombo and Katunayake. The situation is no different now except that the international players and their ruthlessness have increased markedly. I refer in particular, to China, which is making Sri Lanka in to a Chinese colony. In the dozen dvds I have recorded and distributed worldwide, I have said that there are two ’wars’ going in Sri Lanka. One between the Sri Lankan (Sinhala) government against the Tamil people to force them to accept Sri Lankaas a Sinhala-Buddhist nation. The other, at a different level, between China,India and the USA for a foothold in Sri Lanka for the control of the Indian Ocean. Instead of China, can be inserted China,Korea,Japan. Instead of India, it is India and Pakistan. Instead of USA, it is USA and UK. The Tamil political leadership are no less to blame. Had they not joined hands with a blatantly anti-Tamil Sinhalese leadership to present a ‘common front’ to the colonial British, there would have been no Independence. The Tamil political leadership continues to be a problem rather than the solution. The same goes on today. The longer the Tamil politicians (the Tamil National Alliance) engage in futile non-productive and meaningless talks with the Sri Lankan regime, more will be the damage done to the Tamil people. These endless talks only allow the Sri Lankan regime to claim that it is ‘negotiating’ with the elected representatives of the Tamil people. It is doing nothing of the sort. Nor has it since day one. These are only ‘pretence’ talks to keep the international community, in particular, the ‘aid-givers’, happy. It is no exaggeration to say that on 4 February, 1948, ‘Independence’ was granted to the Sinhalese to do what they wanted to the Tamils.Britaincould not care less, as long as the military bases were secure and the (British) tea estates remained under Sinhalese capitalist control, to supply tea at absurdly low prices to fill the British cup. The very least that the departing British could have done was to leave a Federal set-up, or even what existed for centuries before their disastrous 1833 Colebrooke-Cameron ‘Reforms’ that unified what was divided, and centralised power in the Sinhala South. However, as has been stressed, the British could not care less about what happened to the minorities under Sinhalese majoritarian rule. They were only concerned about holding on to military bases and a guaranteed supply of tea. The betrayal of the Tamils by the British cannot be ignored. If it is, then Britain must be reminded of its moral, legal and ethical obligations, to ‘do the right thing’, by the Tamils even belatedly. As I have said, this is not the time to ‘express regret’ at what has happened to the Tamils in 1948, but a time for positive action. Tamils, and those of us, non-Tamils, who support the right of the Tamil people to live with equality, dignity, safety, and now to live at all, must draw up an action plan. One thing is certain – to negotiate with the Rajapaksa regime for an acceptable deal for the Tamils is impossible.. Those who believe otherwise, are not living in the real world. The Tamils are not going to get justice, any more than black South Africans were going to get justice from those who ran the apartheid regime. Justice will have to be extracted from a brutal, barbaric, ruthless, totalitarian regime. It cannot be negotiated, as Neville Chamberlain learnt in dealing with Hitler. I will set out an ‘Action Plan’. This is not an attempt to reinvent the wheel but to set out what has been done (successfully) in handling other barbaric regimes, such as the one in Apartheid South Africa. When I use this analogy it is pointed out that the situation in South Africa was different, in that a small minority of whites were oppressing a vast number of blacks. I stand by my comparison in the Sri Lankan setting. It is a tiny number of Sinhalese (the ruling Rakapaksa junta) that is oppressing the vast number of Sri Lankans, be they Tamil, Sinhalese or Muslims. So the comparison is perfectly valid. 1. Isolate the Sri Lankan regime until it delivers an acceptable solution. This is exactly what was done in South Africa. 2. Organise and conduct a total boycott of all goods and services in and out of Sri Lanka. This must be comprehensive, with no exceptions. Tourism, sport, investment, loans, and support in every area must be targeted. I am not claiming that this will be easy. Any more than it was in dealing with the much more powerful South Africa. In fact it is much simpler since we are dealing with a regime on the verge if bankruptcy which relies on regular bail-outs for survival. 3.Trade Unions across the world will have to be informed of the brutality that is being unleashed on the Tamil people, and to urge them not to load or off load goods to or from Sri Lanka. 4. Tourist companies must be approached and urged to take Sri Lanka off the tourist destinations, and that there are other better, cheaper, and even safer, places to spend a holiday, than the blood drenched beaches of Sri Lanka. Every tourist dollar goes to supporting a brutal totalitarian regime that is guilty of horrendous atrocities and a gross violation of basic human rights. 5. Make it impossible for the members of this regime to visit countries without a massive protest. The British Tamils showed what can be achieved when President Rajapaksa tried to visit Oxford University in November 2010. Not only did the Oxford Union withdraw the invitation, but Rajapaksa and his goons had to flee the country before they were charged. Rajapaksa should only be able to visit China and Russia. 6. File legal action against the perpetrators of crimes against humanity and take them to the International Criminal Court. Can this be done? Yes it can. Already there are charges filed in the US and in Europe. More must follow. Some of these criminals are now Sri Lankan Ambassadors. They must be sent back as was so successfully done to the Sri Lankan Ambassador to Germany,Switzerlandand the Vatican, Jagath Dias, in 2011. 7. Stop hallucinating that the United Nations or even the UN Human Rights Council will act. They will not, they never have. The UN is a talk-shop, it is and has always been a talk-shop. The UN Secretary General Ban ki-Moon has his own agenda. Justice to the Tamil people is not on his agenda. What is going on in Sri Lankais our problem. To expect the UN to deal with it is totally unrealistic. It will not happen. Despite the most damning Report by Ban ki-Moon’s Panel of Experts, he has done nothing, and will not do so. 8. Insist on a Referendum in the Tamil area to see what the Tamil people want. This was done in East Timor. There is no reason why it cannot be done in Sri Lanka. 9.Target thePlantationTamils inSri Lanka. If they down their tools, the Sri Lankan regime will collapse in a month. 10.Target the Sinhalese people (members of my community) in the South and point out the problems and hazards of living under a totalitarian regime. The guns that were turned on the Tamils, will now be turned on the Sinhalese. That is what Totalitarian regimes do. It is critical to realise that the Tamils inSri Lanka can achieve nothing without the help of the Sinhalese. Will the Sinhalese act? Yes they will, not because of any love for the Tamil people but for their own survival. As the International Monetary Fund turns the screws, it is the working people who always pay the price. This is already happening to the Sinhalese..
11. Amnesty International, Human Rights Watch and the International Crisis Group must be supported. They are groups with the necessary ability and experience to take on brutal regimes. They have done it before, and have succeeded. Their unrestricted admission to all parts of Sri Lanka, not just the Tamil areas, must be a non-negotiable demand. Until that is done, the sanctions should go on. 12. The R2P (Responsibility to Protect) will have to be applied, since the people of Sri Lanka, the Tamils in the North and East in particular, are not being protected by a ruthless government. R2P allows for armed intervention, if necessary. Words must mean something, and if R2P is to have any meaning, it has to be applied. If it is not, it will lose credibility. 13. Some international power has to take on the Sri Lankan regime.Canada already has.Britain must be forced to, if only because of the betrayal of the Tamil people by the colonial power which I have already set out. There is a serious lack of leadership, both in Sri Lanka and among the expatriate community. Where the Sinhalese in Sri Lankaare concerned, there have been no leaders. As I have said earlier, Sinhalese politicians have developed the ability to peddle Sinhala-Buddhist jingoism rather than to lead a nation. This has steadily and dramatically got worse. It is not something that is likely to change. Over the years they have produced a large number of politicians but not statesmen. At the moment, the Sinhalese can barely find a politician to lead the Opposition, as a result of which President Rajapaksa and his cronies can do what they want. These are the leaders in Sri Lanka. The Tamils are no better. Their leadership has been abysmally poor. Their politics have consisted of making fiery speeches in parliament (which no one listens to), followed by a drink at the local watering hole where they socialised with their Sinhalese counterparts. Not surprisingly, the Tamil people have had a raw deal. The expatriate community are no better. I can speak only of the expatriate Tamil community with whom I have worked for some four decades. There are simply no leaders who are worth talking about, and the situation is becoming worse. There most certainly is not going to be a Mahatma Gandhi, in Sri Lanka or abroad, to rescue the people from tyranny and injustice. If there are no leaders, and none that are likely to appear, it is going to be left to us (;us’ meaning the Tamils and those who support their cause), as was the situation in Gadaffi’s Libyaand the other countries in the Middle East ‘Spring’. The people will have to rise. We in the outside world can only assist and support such action. That violence will be unleashed by those in power is a certainty. That is what totalitarian regimes do. They are politically and administratively bankrupt, and have only violence as an answer to all problems. The ultimate responsibility falls on us – not on the Tamil people in Sri Lanka, who have no voice or power. If we do not act, the blood of the Tamil people will be on our hands – whether we are Tamils, Sinhalese, or non-Sri Lankans. This is not an ‘internal affair’ of Sri Lanka, anymore than Apartheid was an internal affair of South Africa. If we do not act, the Tamil people in the North and East will be extinct, the end of a ‘slow genocide’ from hunger, starvation, lack of medical care and suicide. The British are to blame for part of this mess, but Sri Lankans have had more than six decades to sort out what they want their country to be. If they want to make it a country run by thugs, crooks and murderers, where only the ruling elite survive and all the rest are ‘disposable’, that is their choice. I recently launched a book, Black July ’83: Indictment by I.T. Sampanthan (London). In one of the articles, Professor Kopan Mahadeva wrote “President Mahinda Rajapaksa alone holds the key to lasting peace”. I would have put it differently, “President Rajapaksa and his junta holds the key to Tamil Eelam and have more than justified the absolute need for this”. I fully appreciate your article. Cuts to the bone. A rare and precious voice for truth and justice. I repect your faith in the people and your call for them to rise up against tyranny and dictatorship. It will happen. Pl take the time to read and comment on my articles. We could work out a dialgue and engagement. just type ajit rupasinghe on the search engine -google. Could you make your CDs avaliable and also the situation report on the North East you have referred to?. I thought all commies are dead. Soviet Union killed them off when they defected to the Americans. Pay back time is approaching and Merciless murderers Rajapakshe bros are peeing in their pants. 64th BLACK DAY. Celebrating 64 years of ethnic cleansing of Tamils. After independence in 1948, the new governments deprived the Tamils of education, jobs, and housings, and Tamil plantation workers of the vote and continued with the suppression of their voices with brutal force. Sri Lanka is celebrating its 64th Independence day today(on February 4th), while the government and its armed forces are continuing with the worst forms of enforced abductions, disappearances, mass arrests, torture, ethnic cleansing, sexual harassments, attacks, destroying hard earned properties and extrajudicial killings against its Tamils citizens in the process of consolidating to completely annihilate the entire Tamil race from the face of Sri Lanka. The blood thirsty monster, murderer rajapaksa and co should be hanged to death for massacreing hundereds of thousands of innocent tamil civilians. Rajapksa regime ruined the sinhala youths lives by misleading/brainwashing them to commit hate crimes against tamils. South Africa? C’mon Brian, don’t be absurdly silly. Apartheid was precisely minority rule, and the boycott campaign supported the ANC’s slogan of precisely ‘majority rule’. Dr. Dayan Jayatillaka!!! Read this. Here’s to your continued good health and many more years of service to Sinhala-Tamil peace.. It was Adolf Hitlers’ propaganda minister who preached that “any big lie , repeated frequently enough would eventually be believed”. The Tamil Tiger Diaspora have followed that teaching much better than Goebells’ would have ever imagined with regard to misrepresenting the realities in SriLanka. In fact, never in the history of human conflict have so many been mislead by so few as the Tiger Diaspora has done with the rest of the world, regarding the realities in Sri Lanka. Bryan Seneviratne, as evidenced by his rantings, is a high priest in this “Distortion Diaspora”. The Tamil Community was the favored minority in the “divide & rule” British colonial policy, where the Sinhalese were the deprived majority. Post independence attempts to correct these deprivations and consequent loss of Tamil privileges , were seen by some as Tamil Discrimination , leading to the Tamil Tiger militancy that ended in unprecedented terrorism and the hostaging by the tigers of 300,000 Tamil civilians , to protect themselves (tigers) from capture by the SL security forces. Following the liberation of the hostages and laying to rest tiger terrorism in Sri Lanka in May 2009, unprecedented strides have been made in reconciliation between the races, rehabilitation of the released Tamil hostages and rest of the Tamil population affected by the war, reconstruction and development of the war ravaged areas and the whole of Sri Lanka. Growth rates nationally has been over 8% annually and repeatedly since the end of the war..
Tourism , manufacturing industry and agriculture have also reached similar heights improving the lives of all clitizens. Many prominent & rehabilitated exTigers are cooperating with the government some as national cabinet ministers, Colonel Karuna ex tiger deputy leader & Pilayan ex tiger child soldier as Chief ministers in the eastern province. Tiger leader after the fall of Prabakaran, K Pathmanathan now back in Sri Lanka is also co-operating with the govt as is Daya Master, tiger propaganda chief , to mention a few. Bryan Seneviratne get real ! True colours of your Rajapakshe regime. Read these links…Very generous of you to invite Brian to the blood stained land. But you know what ?. If Brian ever come to Srilanka, he will be picked up in a white van that will be waiting at the airport operated by none other than His Excellency Gottapaya.. Brian will be disappeared or will return to Australia in a casket no doubt..God bless Brian..
Gowrie what a shame Brian or orginally birth as Kassy shanmughadasan ? In attempting to fill the dearth of spokespersons in similar vein to Brian Seneviratne from the majority Sinhala community, the writer vainly strains himself in choosing rhetoric which, rather than inform the readers with facts as a priority, seems designed to arouse emotions and divisions rather than amity between the communities, regardless of the presence of some valid historic points. Seneviratne fails in his attempt to garner support for his cause, precisely because of this over-extension which tends to leave readers confused, if not incredulous. His depiction of prevalent conditions in Sri Lanka cannot apply equally to all Tamils in all major centres of the country. If at all, they might have some basis in fact during the final stages of the conflict. However, the picture cannot be complete if the total history of the conflict and its outcomes are ignored in preference to a few weeks of fighting. Politics have undergone paradigm changes over the decades since “independence” and the resplendent isle in the tropical waters of the Indian ocean is very much the worse for wear. Who is Kassy shamugadasan? Is he your neighbour? Go ahead. Name everyone as Brian. Because Brian is the sort of person that god created all of us to be. Go on then call everyone BRIAN. Agree 200% with what you say. Things will change but sadly it will take time and more innocent deaths. “Sri Lanka” is a fake state, created for the purposes of enhanced political administration by the British. Without adequate devolution for the Tamils (as well as the Muslims, if the latter forms a sufficiently large demographic base in the future) it will go nowhere. To put this into context, one need only look at India. India is yet another fake state created by the British, but there are parts of it, e.g. Kerala, that have prospered, thanks to the federalist model adapted by that country. Further to my earlier communication would add that despite the loss of colonial privileges , at no point in the history of post independence Sri Lanka, not even the darkest days of terrorism, never was the representation of Tamil citizens from the north and east of Sri Lanka, in any sector of Si Lankan society be it private , public or commercial sector or education including the tertiary education sector, below their percentage amongst the total population of Sri Lanka. Sri Lanka’s history is well documented in the Mahavamsa accepted as a reliable documentation even by the Royal Asiatic Society of Great Britain in the 1920’s. It is clearly documented in these and other documentations that the Sinahlese kingdoms were what ruled all of Sri Lanka from 500 bc. Archeological monuments visible to any visiting Sri Lanka today provides ample evidence of this. Organised Tamil settlments only began in the 13th century , based in Jaffnapattum as known then . They were under the kingdom of Kotte with appointed regional rulers reporting to the Kotte king. This situation persisted till the 15th century when the Portugese first , then the Dutch overran these regions. Unlike the monuments of Sinhalese kingdoms, no monuments of Tamil kingdoms exist even in Jaffna. 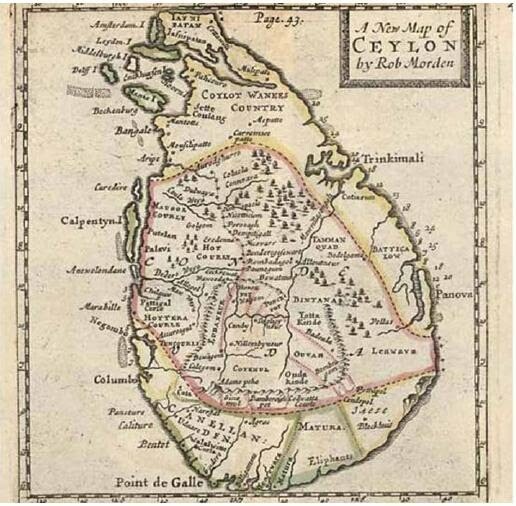 When the British took over the whole of Sri Lanka , they took over what they captured from the Dutch in the costal belt and the Kandyan Kingdom by treaty. They took over one nation in 1815 and gave independence to one country one nation in 1948, Ceylon then Sri Lanka now. It had many races, including Sinhalese, Tamils, Moors, Malays, Burgers and a smattering of others coexisting peacefully. This is what the government of Sri Lanka is now trying to re-establish, One Nation , One Country where all of the country belongs to all of it’s people Sinhalese, Tamils ,Moors, Malays, Burgers and live in harmony with equal opportunity & no restriction on where they live and what they do . This is an anathema to the Tiger Diapora who still long for their privileged status in a mono ethnic mono linual Tamil Elam consisting of thirty percent of the land and sixty percent of the coast for the Tamils that live there, six percent of the total population .Armed with their ill gotten booty of billions secured through distortion, extortion, drug trafficking & credit card frauds , and using their electoral might in some western democracies , they have been able to secure powerful allies to further their cause. They want these allies, some former colonial powers to use the big stick to beat down little Sri Lanka trying to raise it’s head after three decades of terrorism, into submission. Then to install a weak administration so paving the way to securing Elam. Every time the Sri Lanka issue is brought to a wider forum by these allies of the Tiger Diaspora, be it the UN, UN security council or UN Human Rights Watch, only overwhelming support for Sri Lanka’s achievements and efforts have resulted. This is because the wider membership drawn from regional countries and smaller nations can see beyond the Tiger distortions through first hand knowledge and experience, not visible to the more powerful nations from where they sit on their high horse. Instead of trying to undermine Sri Lanka’s recovery, reconciliation and reconstruction the likes of Bryan Seneviratne and the Tiger Diaspora should join the government like so many former Tigers and Tiger supporters have done,in the rebuilding of Sri Lanka as a multi ethnic multi lingual nations where all it’s citizens live in harmony as equals with equal opportunities . I pity the author for having failed to cognize the situation on the ground in Sri Lanka and the Sinhalese people have gone far away from his a century old wisdom. We have fast slided far too deep down the precipice to a land of barbarism, The ongoing land graping, mass exploitation of resources by all and sundry, the appalling apathy state of the war victims are proof of a process of Genocide of Tamils nearing completion. The demand for a locally brewed solution closes the door for a reasonable lasting political settlement. The contributors and accomplices who led to this human catrastrophy can and do, only watch dumpfounded with crossed fingers. There are two ways to cure a disease, One to cure the disease and the other is to kill the patient euphemistically name it mercy killing instead of the bad and the right word GENOCIDE. One Nation one People SANS SPIRIT is the pill of Panacea in the prescription of Dr.Mahinda is on the shop shelves. Take or Leave it. Both will guarantee a lasting solution. I doubt your article will help the communities to live happily in Sri Lanka. Tamils are relatively safe in SL at present,though we have a lawless regime.We are all blighted by this,not only none Sinhalese.Together we must solve this.Whole country is opened to Tamils and they are doing well in business,of cause we must further enhance good race relations. Fanning the flames of hatred in the guise of promoting reconciliation.